When it comes to creating your custom Defender, nothing gets in the way of our promise to deliver excellence. It may seem like there’s a lot going on in the world at the moment, but for us and our clients, it’s business as usual, and here’s why. Restored by Us. Reimagined by You. This year has been our busiest to date. In 2018, we have grown from a team of 50 to almost 70; each one of us is a skilled and valued member of Arkonik. 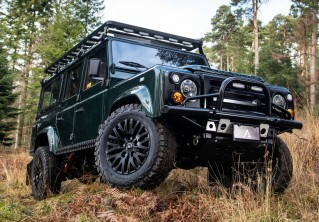 We have now delivered a total of 219 Defenders to clients and have over 80 more waiting in our build program. To accommodate our success, we’ve also had to increase our floorspace. In the last 12 months, we’ve expanded into two further workshops and three more offices. We have used 2018 to concentrate on the finer details; increasing our restoration time per vehicle by 40%, to include all of the Arkonik differences that now come as standard on every single build. Next year, we will be continuing our research and development program. We are increasing our investment in the manufacture of specialised components to make our builds ‘better than the original’. We are a British business selling exclusively into the USA and Canada. Regardless of changes in the exchange rate, the price you are quoted will be the price you pay. 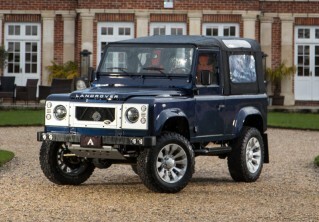 Arkonik guarantees the importation of your Defender. We take care of the whole process, from our door to yours.